Yesterday (October 3rd), there was two very powerful women in Asia who stole the world’s attention. One in China whilst another in Malaysia. One is absolutely gorgeous while the other incredible ugly. One used to be China’s highest-paid actress while the other was Malaysia’s most-powerful woman who walked the corridors of power. However, both women have broken laws in their respective country. 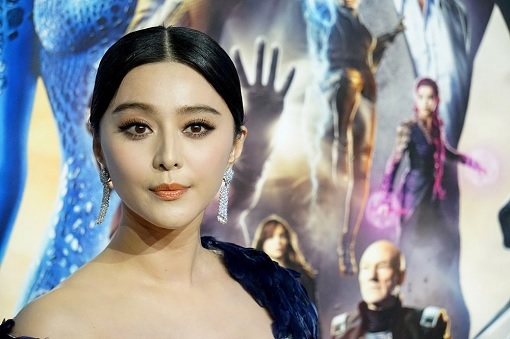 The Chinese most sought after actress Fan Bingbing, who has been missing for months amid rumours of possible wrongdoing, has finally made her appearance. She has been fined a whopping 884 million Yuan (US$129 million) in fines and unpaid taxes after authorities found she failed to pay about 255 million Yuan in dues. 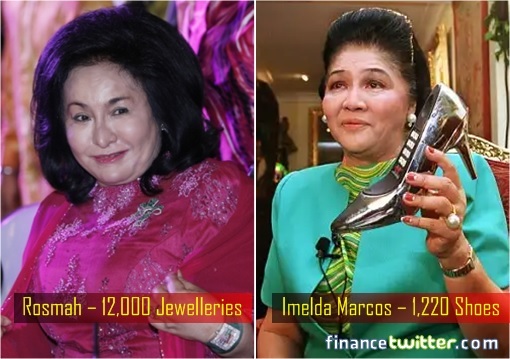 The Malaysian most-despised FLOM (First Lady of Malaysia) Rosmah Mansor, who has been plundering and stealing taxpayers’ money with her husband (former premier Najib Razak), has finally been arrested. Today, the disgraced Rosmah was paraded and charged with 17 charges of money laundering over misappropriation of RM7 million in funds linked to 1MDB scandal. Rosmah has claimed trial and was granted bail at RM2 million (US$500,000). Like her husband, Rosmah is facing 20 years in jail if found guilty. There were little signs that showed both Najib and Rosmah regretted their thievery. Fan Bingbing, on the other hand, has expressed her apology and shame to her 62-million followers on Weibo, China’s version of Twitter. Ms. Fan said – “Recently, I have experienced unprecedented pain and agony. I have undergone profound thought and reflection. I feel ashamed and guilty about what I have done, and I sincerely apologise to you all!” The 36-year-old actress, best known in the West and Hollywood for her role in “X-Men: Days of Future Past”, has every reason to apologise – she could end up in prison. “Without the (Chinese Communist) party and the state’s good policies, without the love from the people, there would be no Fan Bingbing,” – she wrote in her first statement for months. Her agent was detained for allegedly obstructing the investigation by ordering evidence destroyed and concealing accounting documents. Last seen in public on July 23 when she visited children’s hospital, Fan Bingbing got into trouble with the tax authorities when she was being accused in May by a Chinese TV presenter – Cui Yongyuan – of using “yin-yang contracts” to under-declare her actual tax. Two contracts that appeared to be for a coming film of Fan’s were posted on Weibo. One showed a salary of US$1.6 million to be reported to the tax authorities, while the second appeared to show an actual payment of US$7.8 million for the film “Cell Phone 2” – the so-called “yin-yang” practice whereby Chinese celebrities sign two contracts: one with their actual salary and another with a lower figure that is submitted to tax authorities. Cui’s revelation triggered public furore over the issue of corruption in China’s film and entertainment industry. In June, five Chinese government agencies announced a cap on actors’ salaries to crack down on tax evasion and celebrity “money worship”. Now, actors in Chinese film and television productions cannot be paid more than 40% of total production costs. According to 2017 Forbes China Celebrity List, Fan Binging is China’s highest-paid celebrity after the Hong Kong action star Jackie Chan, earning 300 million Yuan last year (Jackie earned 330 million Yuan). She earned 1.4 billion Yuan between 2013 and 2016, and frequently appeared in major advertising campaigns for luxury brands such as Montblanc, Louis Vuitton, De Beers and Guerlain. Believed to have been engaged to fellow actor Li Chen in September 2017, the Qingdao-born Fan Bingbing broke into the Chinese TV industry in 1996 on the series “Powerful Woman” and later garnered critical and commercial success on the show “My Fair Princess” in 1998. Her other films included Reunion (2001), Cell Phone (2013), Lost in Beijing (2007) and Double Xposure in 2012. She also appeared in Double Xposure (2012), the 2013 superhero movie “Iron Man 3” and provided Chinese-language dubbing for films like The Peanuts Movie in 2015, I Am Not Madame Bovary in 2016 and Despicable Me 3 in 2017. Her reported disappearance initially sparked rumours that she may have been abducted or arrested by the Chinese government. 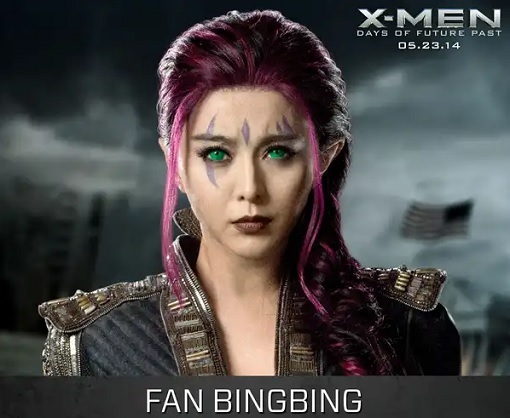 So, where had Fan Bingbing gone since July? Perhaps the answer could be found in the story of Liu Xiaoqing, another darling of China’s film industry. Like Fan, Liu also failed to pay her tax bill. During a 14-month investigation, Liu spent time in Qincheng Prison, a maximum-security facility in Beijing known for housing high-ranking officials accused of corruption. Although story was sketchy on how long she actually spent in jail, Liu and her company were ordered to pay 26.8 million yuan (US$3.9 million) in unpaid taxes of 14 million yuan, late charges and fines upon her release on bail in August 2003. Her brother-in-law, Jing Jun, who was also general manager of one of her companies, was sentenced to three years in prison. Hence, Fan should consider herself lucky that the authorities had not been imprisoned her the same way Liu was, although she did spend three months in “secret detention”. 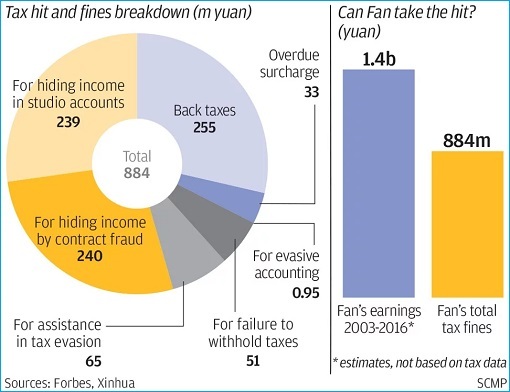 Liu’s unpaid taxes paled in comparison to Fan’s – tax authorities found that Fan owed more than 255 million Yuan in unpaid taxes, of which 200 million Yuan was regarded as tax evasion. However, Fan is not out of the wood yet. She has to pay all the fines before end of the year, when a 2009 amendment to China’s criminal law kicks in. The State Administration of Taxation said that companies and individuals in the entertainment industry that voluntarily “rectify their behaviour” and pay previously evaded taxes before December 31 will be exempted from punishment and fines. In 2015, she famously quoted as saying – “I don’t want to marry someone who’s rich. I am someone who’s rich.” Today, her wealth is being slashed to more than half. Although relief over her reappearance, not everyone is sympathetic towards her following her apology, given the millions of dollars in taxes state media say she evaded. Many on social media say that they don’t think her apology is sufficient and say she should go to prison or at least be blacklisted by the entertainment industry. And judging by her “social ranking” of China’s celebrities where she scored a perfect zero points, Fan Bingbing’s star has dimmed, and may never recovered after the scandal. If only she hadn’t been too greedy and paid her taxes accordingly.